This year, the Red Carpet Collection is inspired by the various travels and dreams of its creator Caroline Scheufele. Year in and year out – the members of Caroline’s family who used to travel the globe with trunks filled with precious merchandise, voyaging as far as the court of the Tsar of Russia – she determinedly tours the many countries in which the family Maison’s creations are present. These peregrinations are a perpetual source of inspiration for Caroline Scheufele, who takes note and sketches her impressions in her travel diaries. With the Red Carpet Collection, she invites us into the secret world of her reveries and personal intuitions, offering a delightful, generous and mysterious revelation. She is inspired by anything and everything: from architecture, to art, to literature and cinema. A miniscule detail is enough for this fervent gem lover to dream up the most splendid – and above all most ingenious – adornments. Nature also remains a powerful source of fascination for her creative mind. A model of perfection, a necklace and earrings suite with no oil Colombian emeralds highlighted by d flawless diamonds. A riot of colour, the necklace reminiscent of a lyrical dance of bejeweled gypsies under the setting sun. Flashback to the roaring 20's, a glamorous coloured diamond briolette fringe necklace. 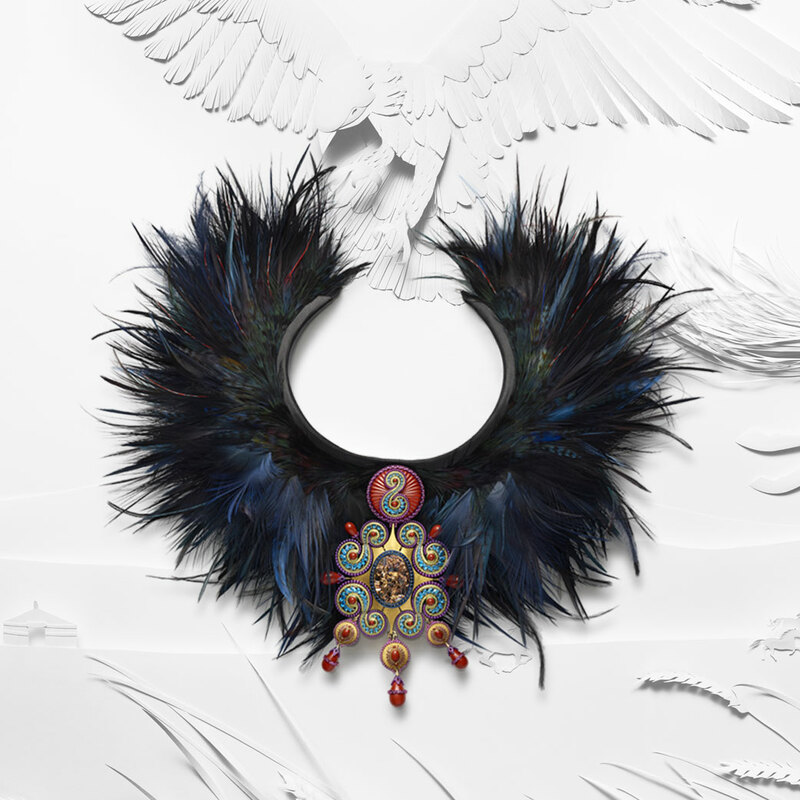 A voyage to a distant land of khan's and khatun's, the mongol queen adorned with a regal feathered and jewelled necklace. A good luck charm for prosperity, love and happiness, the chinese knot earrings set with ruby beads. The song of the blue bird, the lapis lazuli and jadite earrings suspended like petals on a cherry blossom branch. Plucked from aphrodite's garden, two divine pairs of gem-set orchid earrings. Follow me to the temple of heaven, bejewelled with a bracelet and earrings of emeralds, sapphires and diamonds. Come and walk in the clouds with this enchanting opal and gem-set secret watch. Plucked from a secret garden, a glistening emerald and diamond necklace.